At the Prologue of the FIA Sports Car World Endurance Championship (WEC) held on 6-7 April 2018 on the Circuit Paul Ricard in Le Castellet, France, the final preparation phase begins for the Porsche GT Team and Porsche customer teams. Four weeks before the first round of the 15-month Super Season in Belgium’s Spa-Francorchamps, teams and drivers put a total of six Porsche 911 RSR racers through their paces. While the Porsche GT Team fields two 911 RSR in the GTE-Pro class, the Porsche customer teams Project 1, Dempsey Proton Racing and Gulf Racing tackle the GTE-Am category. A new driver pairing competes in the Porsche 911 RSR with the starting number 91: Richard Lietz (A) and Gianmaria Bruni (I) share the 510 hp GT racing car. Both drivers can look back on successes in the Sports Car World Endurance Championship. 34-year-old Lietz took home the GTE-Pro title in 2015, with his 36-year-old works driver colleague finishing the 2012 and 2014 seasons at the top of the points table. The driver line-up in the #92 vehicle remains unchanged with 29-year-old Kévin Estre (F) and 27-year-old Michael Christensen (DK). In the 2017 debut season of the 911 RSR, the works drivers scored three podium results at the Nürburgring (Germany), in Austin (USA) and at Fuji (Japan). Both drivers began their GT racing careers in Porsche’s one-make cups. After 25 years contesting the Porsche one-make cups, the Team Project 1 tackles the WEC for the first time. Porsche works driver Jörg Bergmeister (D) supports the German squad over the 15-month-long Super Season, in which the 24 Hours of Le Mans (France) as well as the 6 Hours of Spa-Francorchamps (Belgium) are contested twice. The 42-year-old race driver shares driving duties with 35-year-old Patrick Lindsey (USA) and 42-year-old Egidio Perfetti (N). Hollywood star Patrick Dempsey supports talented youngsters in the team this season again. Porsche Young Professional Matt Campbell (AUS) and Porsche Junior Julien Andlauer (F) take on the WEC with the team owner Christian Ried (D). 23-year-old Campbell earned himself a WEC cockpit after clinching four victories in the 2017 Porsche Mobil 1 Supercup. Julien Andlauer was chosen as a Junior after a selection shootout last year. In 2017, 39-year-old Ried was the recipient of the Porsche Cup, the trophy for the world’s most successful private Porsche driver. Sharing the cockpit of the Porsche 911 RSR fielded by Dempsey Proton Racing are the Porsche Young Professional Matteo Cairoli (I), Khaled Al Qubaisi (UAE) and Giorgio Roda (I). 21-year-old Cairoli scored two wins and four more podium results for the Porsche customer team in 2017. Since 2014, 42-year-old Al Qubaisi has contested the Le Mans long distance classic for the squad, with 24-year-old Roda gaining experience in the European Le Mans Series. Michael Wainwright (GB), Ben Barker (GB) and Alex Davison (AUS) tackle the new season in the #86 Gulf Racing racer. 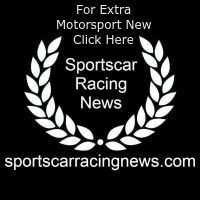 44-year-old Wainwright is the owner of the Gulf Racing team and has raced at the endurance events of Le Mans and Sebring. His 26-year-old compatriot Barker takes on his second season with the squad after climbing the podium twice last year. 38-year-old Davison has an overall victory in the Porsche Carrera Cup Australia to his credit. 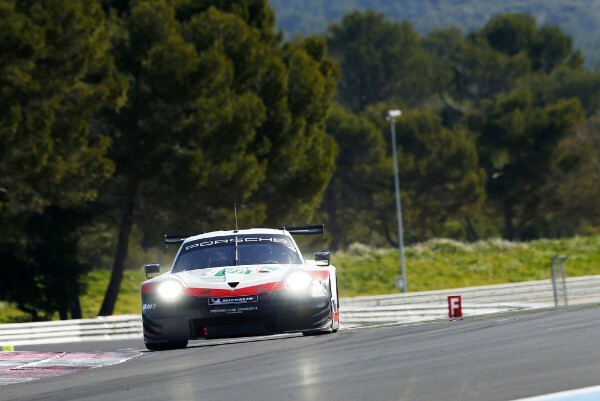 On the Circuit Paul Ricard, which was opened in 1970, all teams have the chance to prepare for the upcoming Sports Car World Endurance Championship season. Last year the Prologue was held in Monza, Italy, however for the 2018 two-day test, the intercontinental racing series returns to the 5.861-kilometre circuit close to the port town of Marseille. Sports prototypes and GT vehicles contest the 2012-launched Sports Car World Endurance Championship (WEC) in four classes: LMP1, LMP2, GTE-Pro and GTE-Am. They all compete together in one race but are classified separately. The Porsche GT Team contests the GTE-Pro class, with customer teams fighting for honours in the GTE-Am class.